August 13, 2014 Alice Meacham Garden DesignLeave a Comment on A kind of blue…. A garden planted earlier this year is starting to show it’s interesting summer colour combinations. 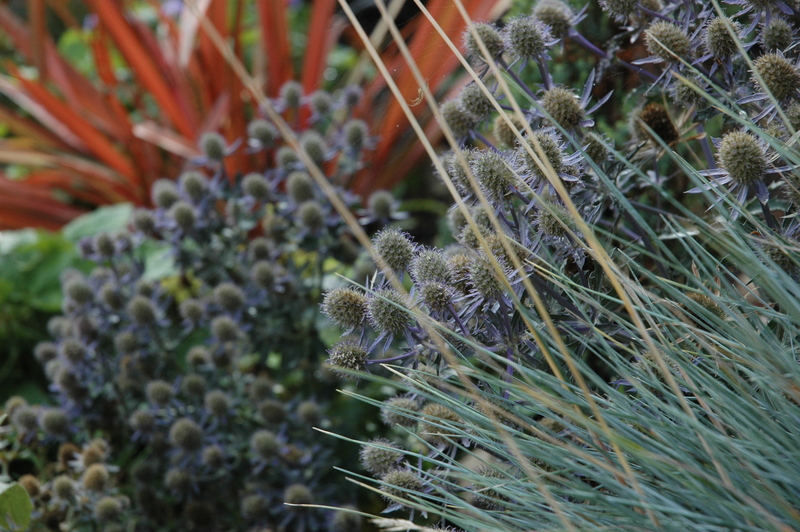 Rusty red new zealand flax (Phormium ‘Red Sensation’) against a slate blue sea holly (Eringium ‘Blue Hobbit’). Festuca glauca grass ‘Elijah Blue’ in the foreground.